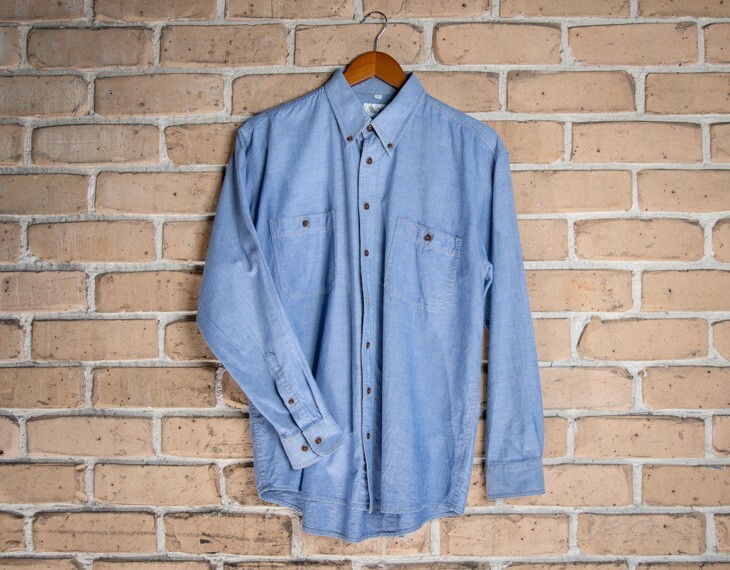 This traditional chambray shirt is both stylish and functional, both professional and practical. The combed cotton is processed in such a way that it generates an infallibly soft texture combined with a bold look. The innovative material is resistant to the formation of wrinkles, even after several washes. This reduces ironing time. The pre-shrunk cotton process that occurs during manufacture also minimizes the risk of shrinkage. 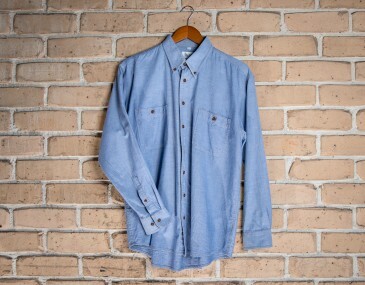 This shirt is composed of 100 percent cotton, 130 gsm. For a slim cut personalised shirt consider our Paulo shirt option. This versatile shirt is priced with an 8k stitch custom embroidery. Embroidery is already included within the price of this shirt. A print set up cost of $50 applies for orders under 50 pieces. Prices are in Australian dollars and exclude GST. Size guide measurement: Collar Circumference(CM): Size 8- 37.5, Size 10- 39, Size 12- 40.5, Size 14- 42, Size 16- 43.5 , Size 18- 45. Available colours for you to select from include: Indigo Blue, Sky Blue, Forest Green and Matt Black.